We are excited to share with you an important new chapter in the life of our Church! Every church travels through different seasons - some challenging, some fruitful. We are thankful that the Lord is always guiding and leading His people and Willow Park Church. THANK YOU for being part of our R.E.A.L Life Vision "To see lives transformed by Jesus Christ in the Okanagan Valley." WHAT IS THE 2020 VISION? Our lead team and elders have been praying through the budgetary implications of our R.E.A.L Life Vision. As we consider the future and the potential impact on lives locally and globally we are excited about the possibilities. We believe God is calling us to raise our expectations and faith. For the first time in many years it was agreed by the members at the AGM to have a “faith budget” for the coming year. This means that we are believing for an increase of $200,000 in our giving toward the operational budget the next year. Believing for this increase places us in the wonderful realms of faith and risk. God has always responded when his people place their hope and expectation upon Him and we are believing for that for Willow Park Church. 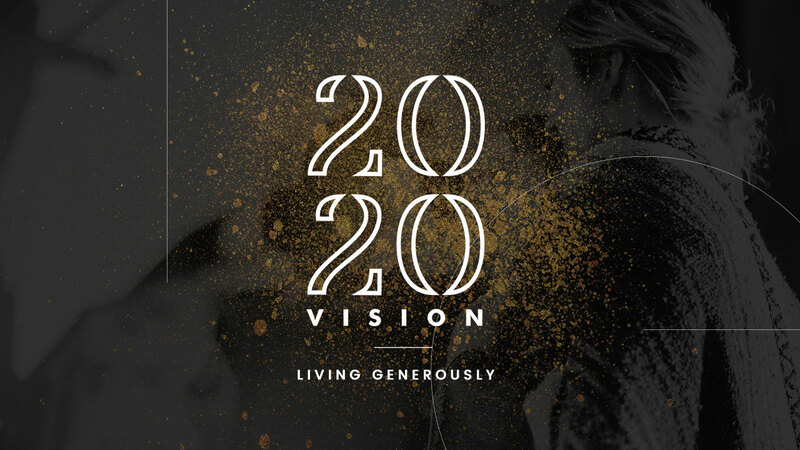 WE ARE BELIEVING FOR A 20% INCREASE IN OUR GIVING BY THE YEAR 2020. If everyone who regularly gives to WPC increased their giving by just 10% this year and then a further 5% in each of the following two years we will more than meet our faith goal - 20% increase in giving by 2020. This would result in an increase of approximately $425,000 per year in giving which would have a huge impact on our ability to minister the gospel in our city, our nation and our world. HOW CAN I SUPPORT THE 2020 VISION? If you don’t give regularly on a monthly basis (you give at different times throughout the year) please pray about giving each month through our Pre-Authorized Debit system. If you already give on a monthly basis please pray about increasing it by 10%. If you currently give $500 a month, pray about increasing your giving by $50 (10%) a month. If you currently give $50 a month, pray about increasing your giving by $5 (10%) a month. Whether you give $50 a month or $5000, a small 10% increase leads to significant change. It might be that as you pray, God instructs you to increase your giving by more than 10%! If you have any specific questions regarding the forms or how to give please contact Cheryl at the church office: or 250.765.6880 x125. 1. I GIVE DIFFERENT AMOUNTS TO THE CHURCH THROUGHOUT THE YEAR BUT I DON’T GIVE MONTHLY. HOW CAN I SUPPORT THE 2020 VISION? We are grateful to those in the church who give throughout the year (please continue!). However, we do want to increase the number of Pre-Authorized Debit payments the church receives. This helps with our year-round cash flow and enables us to plan effectively. Please pray and consider what amount you could give on a monthly basis through Pre-Authorized Debit payments that would supplement your other gifts. 2. I ONLY GIVE MONEY TO OTHER WORTHY CAUSES OUTSIDE OF THE CHURCH. IS THIS WRONG? No - that’s great! The Bible gives us clear instruction to be generous in helping the poor and needy. However, the Bible also makes it very clear that giving to the local church should be our first consideration - generously, cheerfully and regularly. All of us benefit from the church in many different ways - from enjoying one of our many services to sending our children to youth. All of these ministries cost money and our ongoing givers are generously supporting these vital ministries for the benefit of many. Please consider how you can join those who regularly give. 3. I CAN’T AFFORD TO GIVE ANYTHING. IS THERE ANY WAY I CAN HELP IN OTHER WAYS? We are always grateful to the volunteers who generously serve the church. We encourage it because God calls us to serve. However, He also calls us to give out of the money he has generously given to us. Jesus did both as an example for us to follow and spoke about generous giving, even highlighting a widow who had given a few pennies. The New Testament clearly articulates that our giving should be a) sacrificial, and b) generous and cheerful - even if that is a small amount. Please pray about what amount God is asking you to give to His work. 4. WILL THE PASTORAL STAFF KNOW WHO GIVES? No. As a policy, the pastoral staff do not know who gives what amount. Thank you for your ongoing support and prayers. We are excited to see what God has in store for us here at Willow Park Church. Giving cheerfully and sacrificially of our finances is part of our worship because Jesus first gave to us (2 Cor. 8:9). For some teaching on money and giving, check out these messages: Money (Part 1) and Money (Part 2). Your generosity helps us continue our mission of seeing lives transformed by Jesus in the Okanagan Valley! Thank you! Click here to update your contact information and/or request your year-end Charitable Donation Receipt by email. Click here to read the terms & conditions of use.